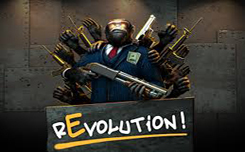 This game will take you to the universe, in which the monkeys decided to seize power over people. 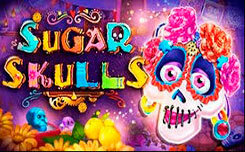 You are waiting for interesting additional features and fun gameplay. Revolution is a slot with 4 reels, 4 rows and 16 winning lines. By catching 2 or more special characters, you start the rotation function. The playing field will rotate 90 degrees clockwise, thereby forming new combinations. Wild – newspaper, replaces all other symbols in the game except for bonus ones. With it, it will be much easier for you to compose winning lines. Scatter, which can activate free spins. At least three symbols on the reels start 10 spins. Revolution is a slot with an excellent basic game and great bonus features that make it so cheerful.